The Gnoming Librarian: It's coming! So I was browsing Goodreads this morning and came across the cover for Leigh Bardugo's third book in The Grisha series! Only a couple of months until it's release, and I can't wait. Isn't the cover pretty? What book are you looking forward to reading this summer? 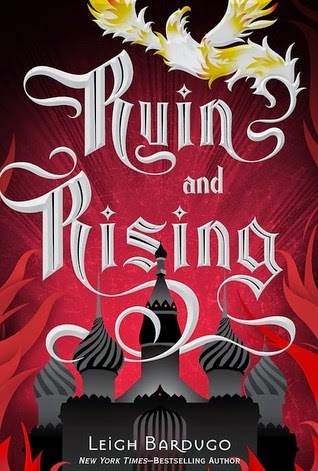 There are a few books I have to read before June, so you bet I'm going to go into a reading frenzy so that I'm all ready for the June 17th release of Ruin and Rising. If you're a fan of fantastical fiction...you should totally check out Shadow and Bone and Siege and Storm!